GLM Insurance makes the process of finding the best homeowners insurance in Richmond so simple! At GLM Insurance, we understand that your house is your most valuable possession, and protecting that financial asset is serious business. This is why we take the time to compare home insurance rates from the best insurance companies in the country to find the coverage that fits your specific needs. For over 50 years, GLM Insurance has helped Virginians find the homeowners coverage they need at a price to fit their budget! Unlike a captive or call center company, we offer a wide range of homeowners insurance companies in Virginia, and work on your behalf to find the best combination of coverage and price, year after year. We make sure you get all the discounts available and help you understand the claims process if you have a homeowners claim. This is the coverage that protects the actual main structure of the house. Getting this coverage limit correct is critical in ensuring you have enough coverage. Nearly all insurance companies determine the coverage amount with a comprehensive replacement cost estimator. This ensures that the coverage limit is accurate and based on the true cost to rebuild your home in the event of a total loss, including the cost of demolition and debris removal. The Dwelling Coverage A limit should never be based on the market value or approximate sales price of the home. Other structures coverage covers exactly what you would think — any other structure on your property that is not directly connected to your house. 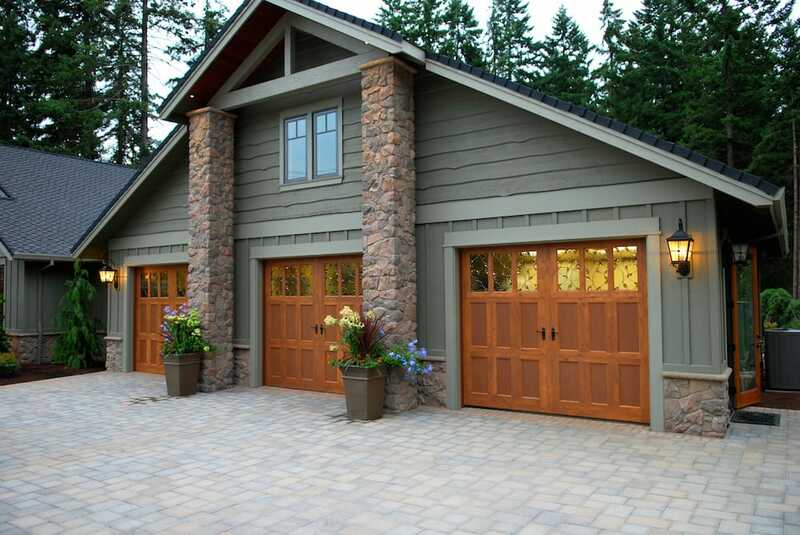 Think of a detached garage, sidewalks, driveway, fencing, and other detached out-buildings. This coverage is almost always 10% of whatever your Coverage A limit is, but can be increased if need be depending on what you have on your property. If you picked your house up and turned it upside down, anything and everything that falls out would fall under your Personal Property — Coverage C limit. Clothing, furniture, electronics, literally everything you own that is not permanently attached to a wall or your house (otherwise it falls under Coverage A). What many people don’t realize is Coverage B covers your property anywhere in the world. So if something is lost or stolen on vacation, or from a car, that’s actually covered under your homeowners policy, not your car insurance. This covers you in the event you can’t live in your home because of a claim. Imagine a hurricane or tornado strikes, and your home is damaged to the point that you can’t live there for an extended period of time until the damage is repaired. Your Loss of Use will help cover the costs of you staying elsewhere including lodging, food, and other related expenses. Loss of Use is typically 20% of the Coverage A limit. If someone is injured while on your premises, whether you’re to blame or not, Medical Payments will respond to that situation. Let’s assume someone cuts their foot on your patio somehow and they need to get stitches — Medical Payments would cover the bill up to the amount you have on your policy which is typically between $1,000-5,000. The purpose of covering the medical expense for that person would be to potentially avoid further litigation. Personal Liability coverage is one of the most important coverage limits on your policy. It protects you and any other household resident in the event you/they are found liable for someone else’s bodily injury or property damage, either on, or off premises. The personal liability portion of your policy will also cover the cost of defending a lawsuit if you are sued, as well as any resulting judgments coming out of the lawsuit, up to your policy limits. Its main purpose is to protect your assets in the event of an unexpected event for which you are considered liable. The limit you carry on your policy should be the maximum allowable limit from the company, which in most cases is $500,000. If you have a pool, or any other type of “attractive nuisance” on your property, you should always purchase additional liability coverage, which is called an Umbrella Policy. Events that are excluded are named on the policy. Events like acts of terror or war are not covered. Damage caused by floods, earthquakes, and poor maintenance is not covered. You must buy a separate policy for flood coverage. However, earthquake coverage can be added as an endorsement to your homeowners policy. Maintenance-related problems are the homeowners’ responsibility. What if I don’t own but rent? You will need to purchase a renters policy. Your landlord covers the structure, you cover what’s inside. Renters insurance will cover your possessions from fire or smoke, lightning, vandalism, theft, explosion, windstorm, and water damage from plumbing. It also pays the additional costs of temporarily living away from your house or apartment if you can’t live in it due to a fire, severe storm or other insured disaster. It covers hotel bills, temporary rentals, restaurant meals and other living expenses incurred while your residence is repaired. Coverage for additional living expenses differs from company to company. Renters insurance also provides liability coverage if people are injured at your home or elsewhere by you, a family member or your pet and pays legal defense costs if you are taken to court. Your association has insurance to cover the commonly owned property and liability for the association but that doesn’t provide coverage for you. GLM will help you get the coverage for your personal property – like a break in, water damage to your living room walls, or someone injuring themselves slipping on your wet kitchen floor. Condominium and Townhouse policies help protect your personal property and the interior of your unit. Enter your information into the form below to get started with your homeowners insurance quotes. We will likely need more information to provide you with a more accurate price, and if we do, a member of our team will reach out to you to do so.